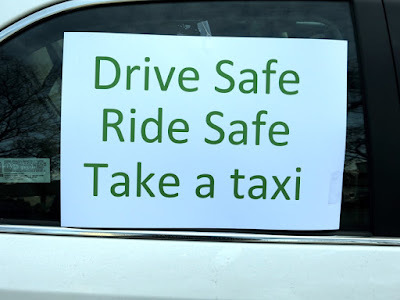 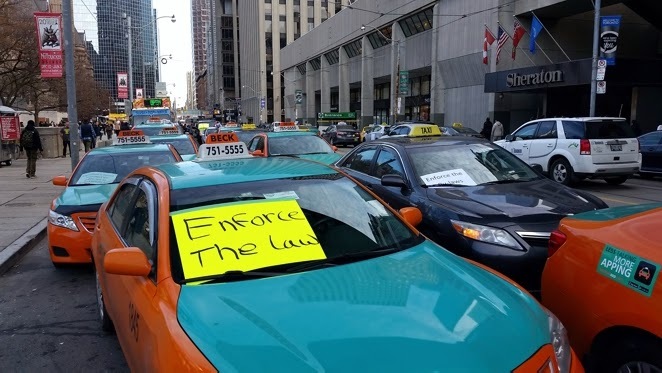 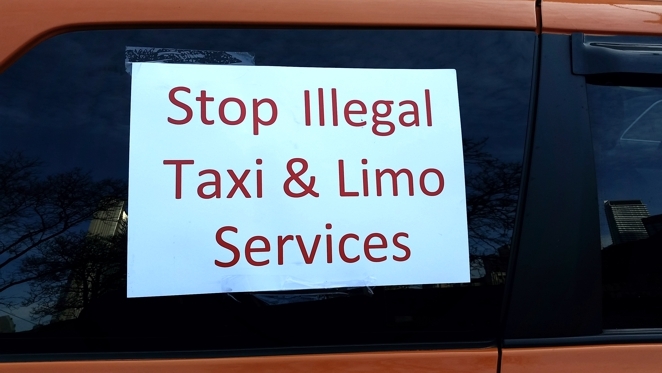 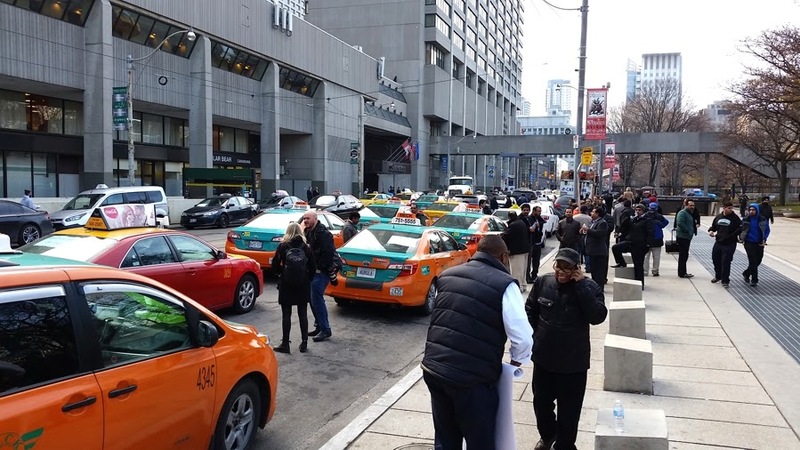 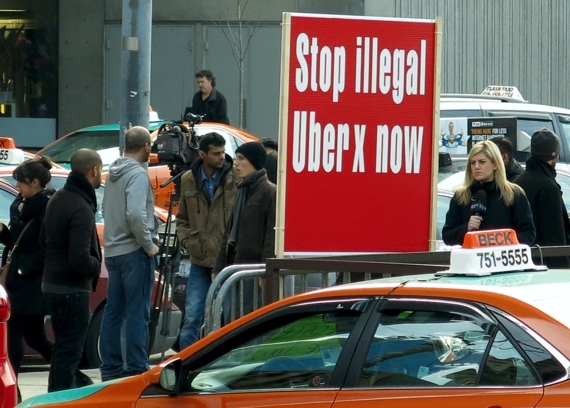 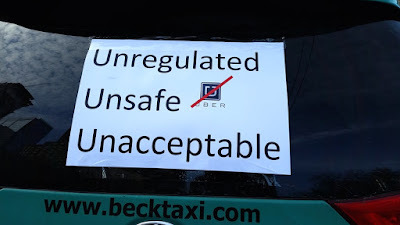 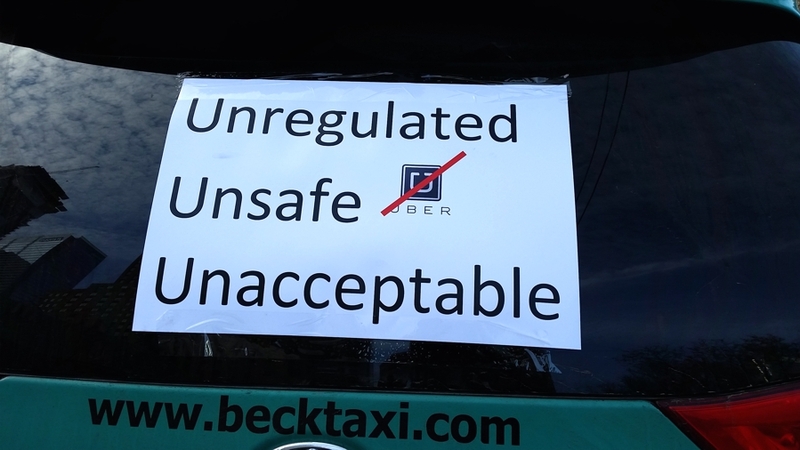 Roadways around City Hall filled with cabs and emotions heated up during the latest driver protest against the unregulated taxi service UBER, also known as a smartphone or app driven rideshare service. 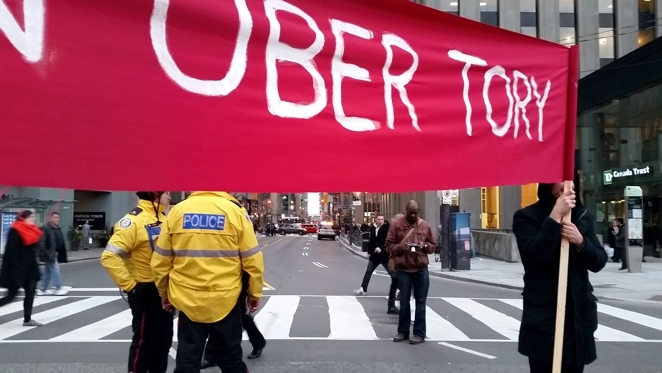 A protester banged on the car window of an UBER driver, then hung on as the car drove away. 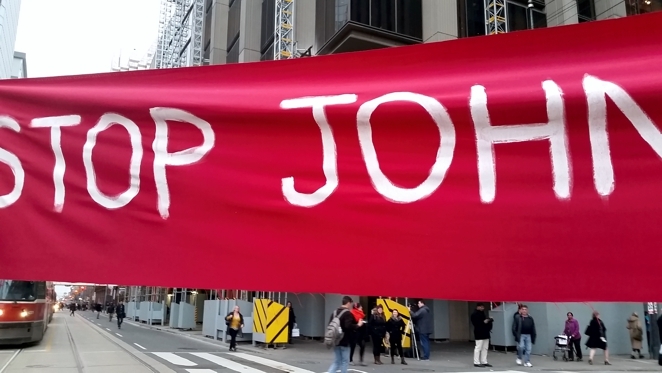 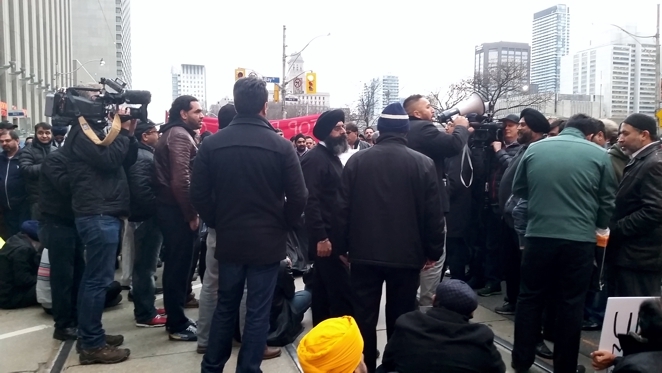 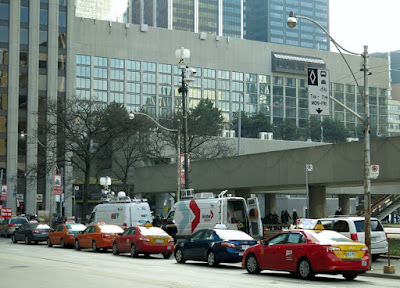 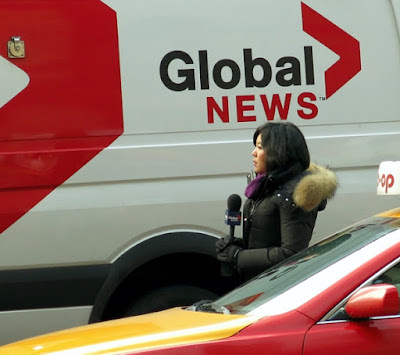 The taxis traveled slowly around town on Wednesday, December 9, 2015 delaying commuters and during the afternoon rush hour the drivers left their cars to fill the Bay and Queen Street intersection to block traffic and shout profanities at Mayor John Tory.